Wholesale is a large business with large demands. Managing accounting, warehouse inventory, and customer relations is tedious work. With a POS system designed for the wholesale business, all those operations are streamlined. Wholesale POS systems track all inventory in the warehouse, and by category. They produce reports for accounting, collected customer data, and profit versus expense in each sales department. 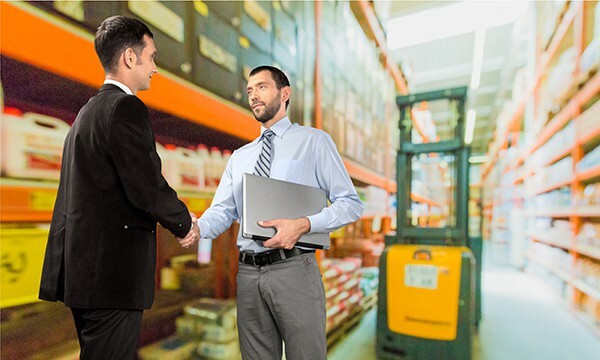 Wholesale software will improve distributor relations as well. All invoices for each of your suppliers is tracked, automated, and easily supervised. Everything you need to manage your business is accessible from anywhere in the store. To maximize profit and organization, you need the best POS solution. Below we review our top picks based on features and pricing. 1.0.7 Check data anytime, anywhere! 2.2.3 Take your business to the next level! CIZARO enterprise POS system is cutting-edge software that offers an all-in-one POS solution to adjust to your business needs. They have personally tailored POS software’s that will increase profits and stimulate the expansion of your business by giving you full control. Whether you are locally based on international, Cizaro has you covered. Their POS system is powerful, robust and is integrated, yet, is easy to use and intuitive. Cizaro POS system gives you the independence of using your software with or without any internet connectivity. You can access your files both online or offline, so you can easily secure continuous service and develop good relations with your customers. The key elements of success in wholesale business depend on how well you organize your warehouse and manage your suppliers. This organized inventory feature lets you systemize your warehouse. A built-in intelligent catalog provides rich communication tools that help you decide on the best fit for your specific business and how to contact them. This feature lets you classify products according to your preference and lets you save the characteristics that your business requires. Each item can easily be localized, and you can locate who it’s sold to and through the distribution channel used. It also includes warehouse management system, free range of measurement units, intelligent serial number and receiving a good voucher. Satisfied customers are always happy customers. Cizaro’s POS software will make sure that all process and all customer issues and complaints are resolved smoothly. Taking care of repairs, other additional services all will be taken care of through the system. Credits given to customers or obligations payable to suppliers will all be monitored. Gain through the opportunity to send messages and invoices to your distributors in the way that fits you the best. The feature also includes warranty points, detailed customer information, WhatsApp, email, SMS and gift cards. Make your business more attractive and increase profit margins with Cizaro’s POS system. Special prices can be made for selected goods. A client list can be made that should receive those special price offers. The functional guide can be used to customize offers. Special instructions are provided that guide you on how to combine different items to create new products. It also includes a production wizard and different discount offers. Cizaro POS system is suitable for one or more than one location. The system provides automatic real-time sync between all locations and departments. You can easily view, modify data of items, employees, any branch or even the entire company and be in full charge. You can easily keep an eye on all your business activity with the live viewing panel. Whether you’re working from home or somewhere far away from home, you can view all your data on any device to see sales and other activities and where they take place and by whom. The pricing of Cizaro is not available on their web page, but they can be contacted for price details. For wholesalers that need something other than checkout capacities from their internet business and POS systems, Lightspeed POS brings a cloud-based POS as a Service with world-class business administration devices that assist entrepreneurs in investing less energy agonizing over small details and focus on more important issues, such as maintaining the business. Lightspeed's approach to deal with business administration and POS systems gives you unparalleled access to and control of your stock, worker administration, and analytical tools for knowledge into what is working better for you. Stock creation and control are the main highlights of Lightspeed POS; retailers can set up every item characteristic with three varieties, making a network of stock with all the conceivable item varieties, prepared for utilization given the retailer's predefinitions.Moreover, scanning for items is simple with the retailer's customizable item depictions. To put reorders, retailers will discover the buy order– creation process basic and clear in light of the predefined reorder information and stock levels wanted.This basic procedure additionally prompts better fact-based buying choices based concerning stock request history and levels. By taking advantage of the Business management tool, wholesalers can make store-specific brands. Those that need an additional touch of customization can include logos, limited time offers, or personalized messages along with clients receipts, generating higher revenue and long lasting customer relationships. Wholesalers can also manage and maintain employee records and data. Each employees schedules, transactions, and activity can be monitored. 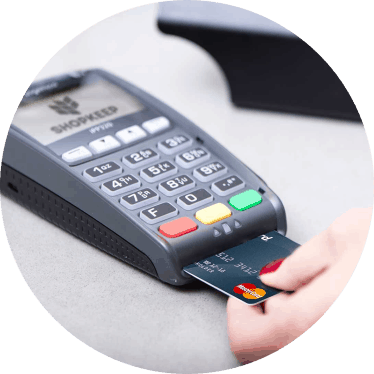 Lightspeed offers present-day checkout facilities. Payments can be made through Apple Pay and Android Pay, which will give customers an easy check-out facility. Lightspeed POS offers wholesalers an assortment of hardware and embellishments, like cash drawers and barcode scanners that influence the client checkout to process, is consistent and simple. Most businesses demand exact and clear business insights to improve, make more educated choices, and Lightspeed's reporting and analytical tools enable them to do that. With more than 40 sorts of reports available, you will have a reasonable photo of what's new with the business and can penetrate down to pick up understanding into particular business operations. All POS systems include unlimited products like advanced inventory features, sales, multi-store management, software upgrades, premium support and much more. The plan levels and costs are summarized in the table below. 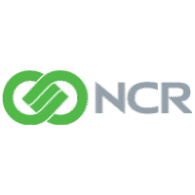 NCR counterpoint is an all-in-one POS software solution that provides POS checkout, inventory management, reporting and analytics and allows you to add features that you may need without having to go through third-party applications. It is a special framework that brings both front and back office into harmony, empowering you to develop into your best form. 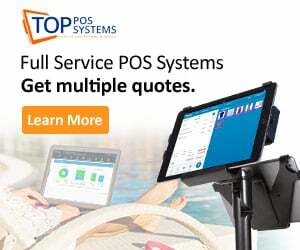 The NCR Counterpoint POS system offers a full set of highlights including emails marketing, e-commerce options, built-in gift cards, customer loyalty programs and hardware made specifically for the wholesale industry. The Omni-channel software allows flexibility and integration. The POS system is powerful, and its inventory system can handle up to 100 stores. CounterPoint is information driven software that stores and tracks the majority of data to your business. Take advantage of the SQL to make queries, channels, and triggers that let you search and update records within seconds. CounterPoint is compatible with a variety of well-known third-party applications such as Microsoft Excel which enable you to export and view your data any way you need. CounterPoint gives you the instruments to work your business quicker and all the more proficiently, with exceptionally quick execution and innumerable timesaving highlights. 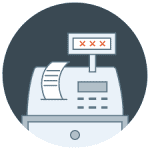 Streamlined POS means speedier ticket passage with fewer mistakes. On-the-fly information entry permits you to include items, clients, or merchant records from anyplace in the framework, and information-driven queries, channels, and inquiries enable you to discover those records in a blaze. Quick Receiving’s and Quick Transfers let you immediately get stock or redistribute it to another area. Intelligent automation features help quicken repetitive tasks and procedures. All of which makes CounterPoint the best in speed and convenience. CounterPoint grows along with you as your business grows to cater your needs with additional features that you may require. Features like Advanced pricing capabilities, account receivables, serial numbers tracking, etc. are made easy with the Advanced Retail POS system. Counterpoint Online gives incorporated e-commerce, enabling you to grow to the Web and coordinate your online deals with your CounterPoint database. Multi-Site enables you to work various stores and oversee data at all locations, providing consistent performance throughout your organization. Computerized Purchasing gives you the necessary instruments to control each part of purchasing and receiving. New buy demands are entered with framework doled out or client entered PO numbers. On the other hand, you can utilize Add Items to simplify the process of entering buy purchase requests by enabling you to rapidly add things to a purchase request at the same time, without expecting you to make each line separately. CounterPoints backbone is its inventory management system. It is the methods by which all things are recognized, valued, and tracked. Inventory management is intended to enable you to keep up ideal stock levels, control stock expenses, and track stock development. It provides tools necessary to adjust inventory levels and increase profit margins. Inventory items can be set up quickly and easily.Inventory item numbers and barcodes may be physically entered, examined or imported in, or it can be done automatically. Each inventory item can be setup and identified with a unique item that may be associated with the price level, descriptions, different attributes, etc. They can also represent different sizes, style, color combinations. CounterPoint supports both normal inventory and serialized inventory items. The integrated email marketing tool connects you with your clients for long lasting relationships after the show which allures them to come back for more. No price schedule is mentioned on their website. However, you can get a free price quote by contacting them. There are a variety of different Point-of-sale systems available for wholesale businesses. Investigating every one of the alternatives you have for a POS framework can turn out to be incredibly overwhelming. And the stress can build even further if you're looking for industry-specific POS system. Fortunately, for you, we have reviewed three perfect point-of-sale systems for you that you can greatly benefit from. According to our expertise, we strongly recommend you to use CIZARO, as it gives you the option to work both online and offline that the other two POS systems do not give you. It gives you 100% customization, synchronization, and scalability. You can even try their 28-day free trial to test run it. Our second recommendation to you is to use LightSpeed POS, even though it cannot work both online and offline, it still has a wide variety of features to offer. 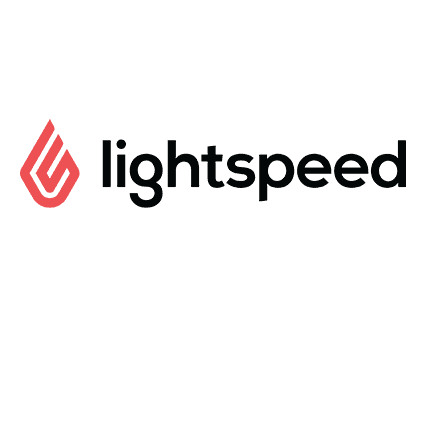 LightSpeed is the leading provider of the cloud-based POS systems that make day-to-day activities easier for wholesalers. NCR CounterPoint is also an excellent POS system that is user-friendly, ties the back office with the POS system and makes it easier to gather customer information and close out the day. I’d like a pos system for my retail and wholesale counter. Please contact me.